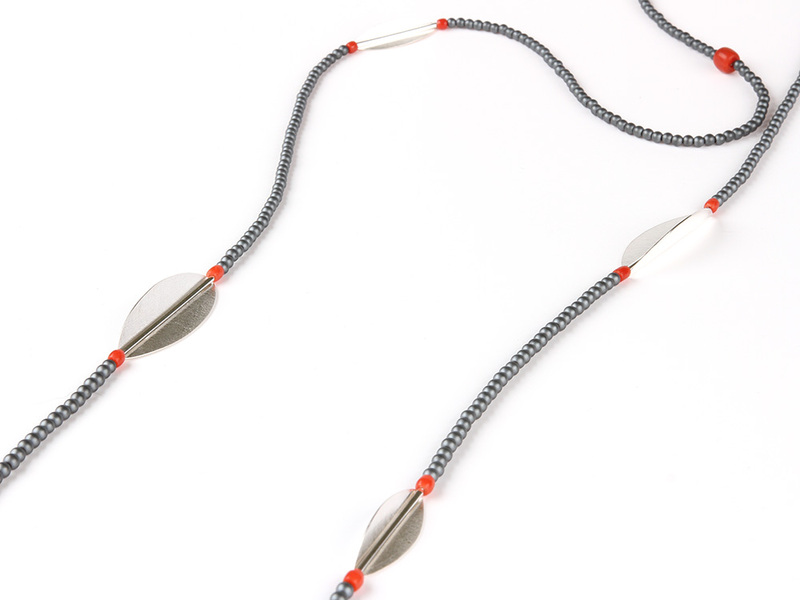 Nio is a long necklace made of silver and grey beads. There is a small accent of red coral too. 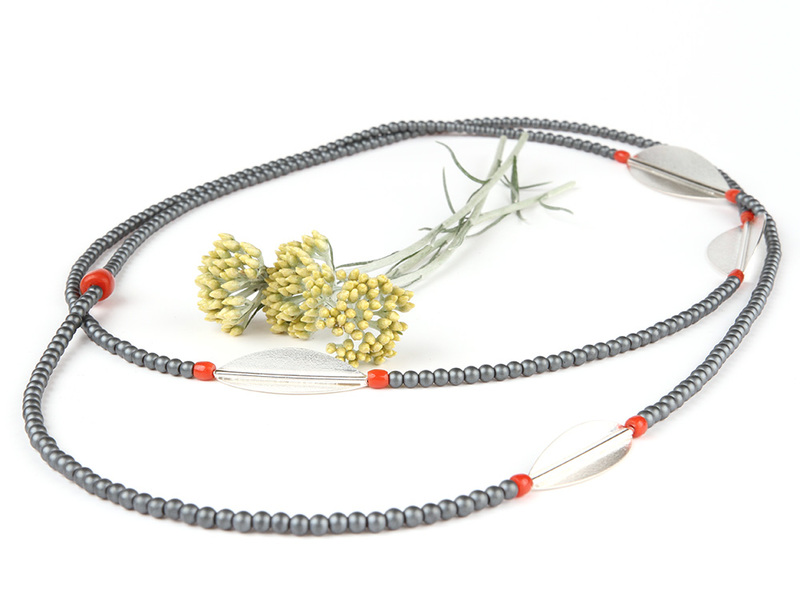 The materials used are hematite, these are the tiny grey beads, red coral and handmade silver beads. The model in the photo is wearing a different type of Nio. This NIO is not for sale. 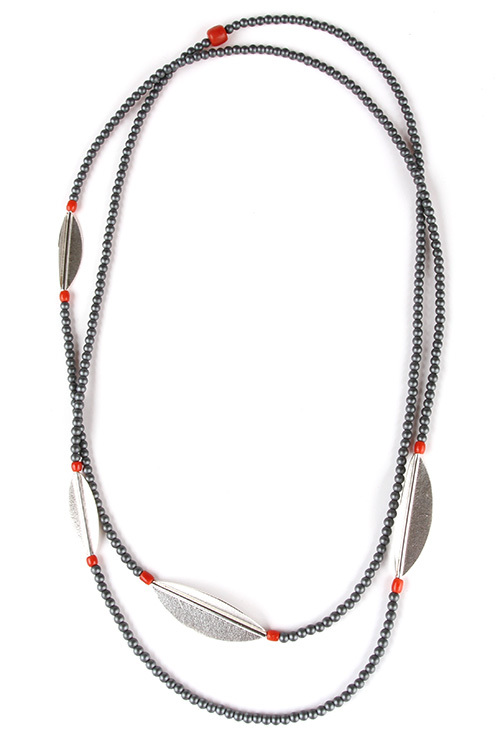 The photo is meant to show the length of the necklace. 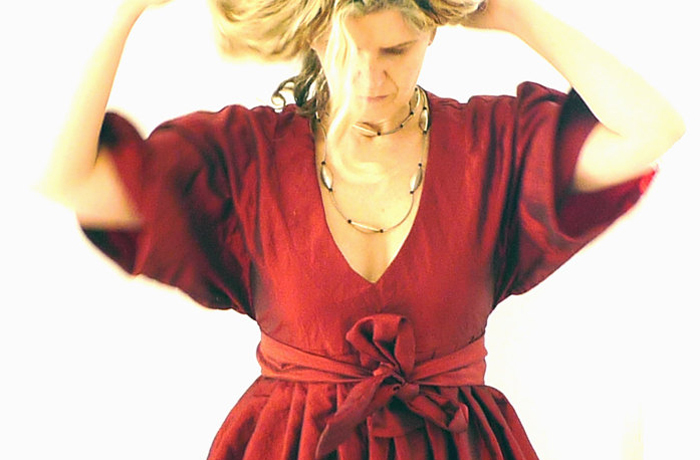 If you wear Nio the full length the necklace reaches about as far as the bow of the dress. The model is 13threads She has an on-line shop for great handmade clothing. Nio is made in a small series. 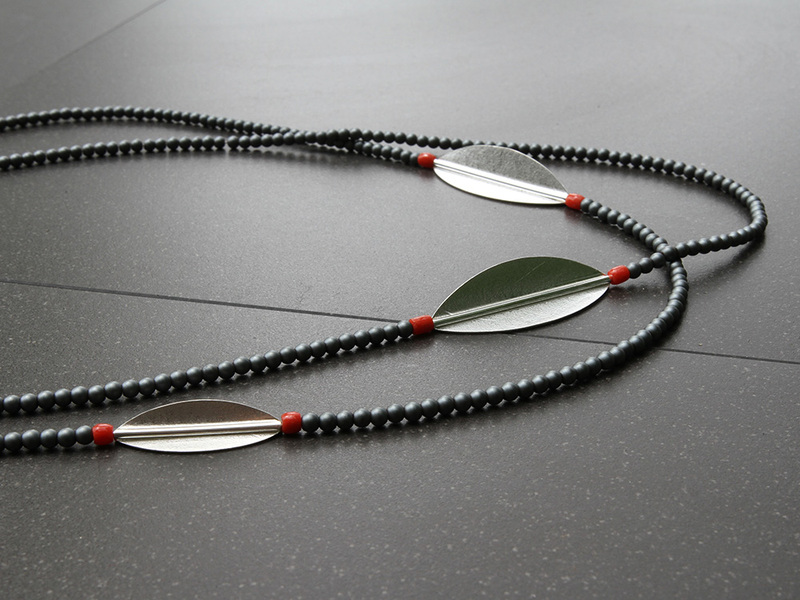 Our jewelry is hand crafted in our atelier in Wijnjewoude, The Netherlands. It is provided with our Maker’s Mark.